Description: Every culture finds ways to pass along its wisdom from one generation to the next. Old Testament Wisdom literature�comprised of the books of Proverbs, Job, Ecclesiastes, Sirach, and Wisdom—raises the "big" questions for the people of Israel: Why do the righteous suffer? "Why do we die? What is the meaning of life? 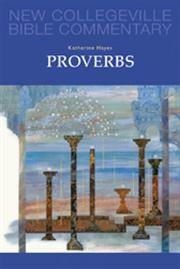 Citation: B�lint K�roly Zab�n, review of Katherine M. Hayes, Proverbs, Review of Biblical Literature [http://www.bookreviews.org] (2014).